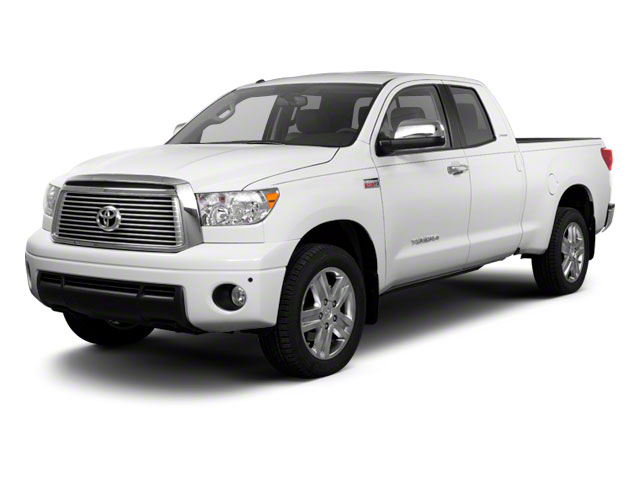 Toyota has updated the stereos in all Tundra models for 2016. They now run on Toyota's Entune 2.5 architecture. This means better phone integration and faster performance, particularly with the premium sound system. A bigger gas tank on several trims and a slightly redesigned front fascia on the SR5 and 1794 trims are also new for 2016. Toyota's Tundra is available in many variations to meet different truck users' needs for 2016, with 2- or 4-wheel drive, three cab styles (regular, Double Cab and CrewMax), three bed lengths, three wheelbases and two different V8 engines. Each of the three beds is about 22 inches deep and shaped to accept 2x8-foot lumber dividers. The steel tailgate is designed to be opened and closed with just two fingers, and there's also an available Deck Rail system for more individualized cargo arrangements. Regular cab models offer the standard 2-door arrangement with one row of seating. The Double Cab offers smaller rear doors for occasional back-seat passengers, and the big CrewMax brings full-size rear doors and seating comparable to that offered in big SUVs. CrewMax models also have a unique reclining and sliding rear seat, while Double Cabs get a folding seat bottom that allows for a flat storage area when the seat isn't in use. The base engine is a 4.6L V8 making 310 horsepower and 327 ft-lb of torque. A 5.7L "iForce" V8 making 381 horsepower and 401 lb-ft of torque is available on all models, and in some regions, the engine can be optioned to run on E85 ethanol/gasoline blend. Both engines meet the stringent ULEVII emissions certification and run on regular grade gas. Both the 4.6L and 5.7L drive 6-speed automatics. All Tundras have a rear suspension design that maintains a level ride height even with a full load; fully boxed frame rails and rolled C-channel members underpin the truck. 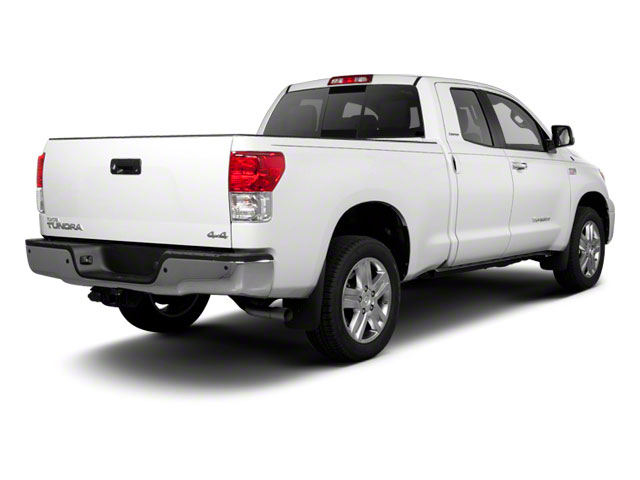 When properly equipped, the Tundra is rated to tow nearly 11,000 pounds. 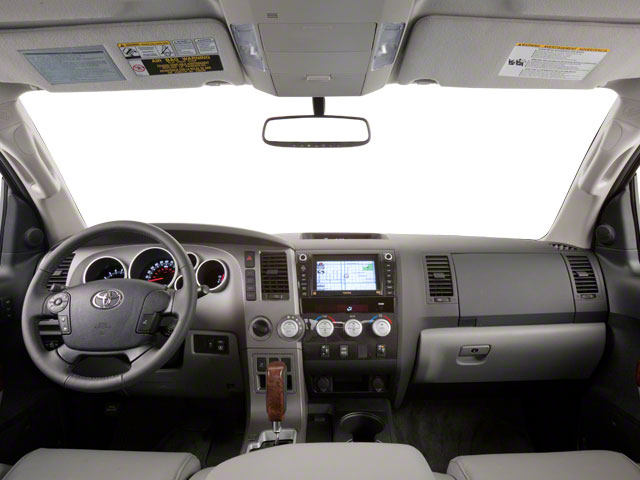 The Tundra has more standard safety features than most of its competitors. Front-seat side airbags are standard on all models, along with roll-sensing side-curtain airbags and a front seat knee airbags. Four-wheel disc brakes with vehicle stability control are standard on all Tundras. 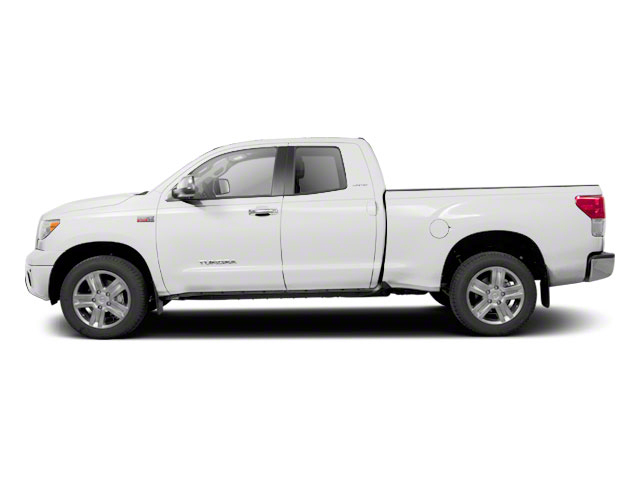 The Tundra also features standard trailer sway control programming and brake override technology. It utilizes the truck's stability control system to detect unintended side-to-side movement at the rear wheels. Should the system detect movement, the truck's anti-lock brake system is used to counteract yaw and prevent jack-knifing. A trailer brake controller allows the driver to control the amount of brake boost applied to the trailer's electric brakes when the driver applies the vehicle's brakes. While the safety features are standard across the line, the Tundra ranges from basic to very luxurious inside depending on the trim level, starting at the spartan base model and going all the way up to the very well-appointed Limited. Different Tundra models are available, including an "SR" no-frills trim level that's available in standard cab or double cab versions. It features plain black bumpers, fabric seats, rubber floor mat and heated power-adjustable mirrors. SR5 trims get an upgraded audio system with SIRIUS satellite radio and Bluetooth as well as an optional Off Road package, tow hitch aluminum wheels and integrated navigation. Limited Double Cab and CrewMax get equipment upgrades such as 20-inch aluminum wheels, chrome door handles and mirrors. Navigation and leather heated bucket seats are also included. Platinum Tundras include a memory-enabled driver's seat, power sunroof, turn signals integrated into the mirrors, an upgraded JBL stereo, heated and cooled front seats, dual-zone climate control, a navigation system and a metal-appearance interior. Inside, all models feature a tilt/telescopic steering wheel, door handles and control knobs large enough to be operated with gloves. The glovebox is designed to be big enough to hold a Thermos and the center console is large enough for a laptop or for file storage. Interior power outlets stay live for two hours after the ignition is switched off. A TRD (Toyota Racing Development) Off-Road Package is optional on the Tundra, which includes an off-road suspension with Bilstein shocks, off-road tires, skid plates, fog lamps TRD off-road alloy wheels and more. The 2016 Tundra CrewMax has best-in-class legroom according to Toyota and offers the only reclining and sliding rear seat among pickups. The Tundra also offers one of the best-designed interiors, with plenty of storage space and easy access to the backseat area. The available 5.7L engine makes 381 horsepower and 401 foot-pounds of torque, with hauling and towing ability near the top of the segment.